Against the backdrop of a 16th century Tuscan castle sits a quiet vineyard. The grapes grown here make the Castello di Bolgheri wines, part of the Super Tuscan collection. These reds began their ascent post WWII, when marquis Mario Incisa della Rocchetta first planted hectares of Cabernet Sauvignon and Cabernet Franc on Italy’s northern coast. In 1994, the reds of this region, known for their intense ruby color and great aging potential, earned DOC certification. A year later, a consortium was formed to protect Bolgheri DOC wines. The wines of Castello di Bolgheri are a selection of Cabernet Sauvignon, Cabernet Franc, Merlot and Petit Verdot from the best DOC vineyards surrounding the castle. 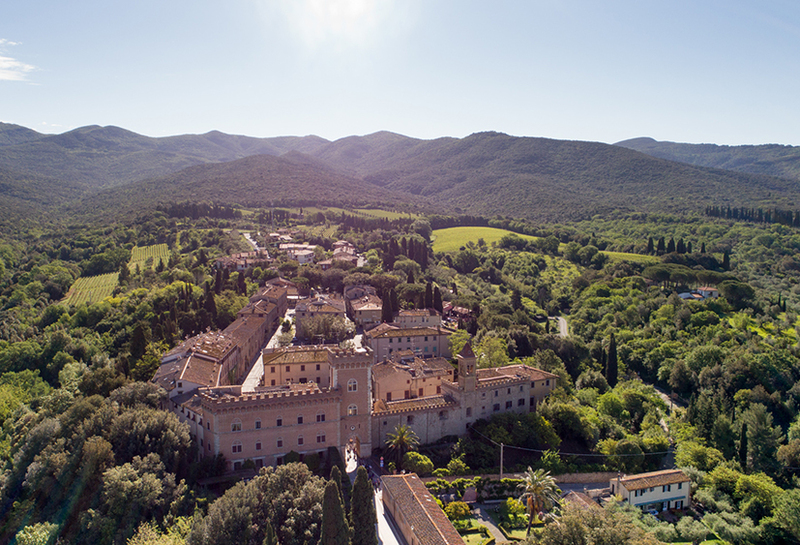 The Bolgheri castle, still owned by the same family, is situated between the world-famous Ornellaia and Sassicaia wineries. The wine remains in contact with skins for 25 to 30 days before being stored for 20 months in a castle cellar dating back to the latter 1700s. This meticulous attention to wine production is why Castello di Bolgheri consistently earns rave reviews from wine judges around the world. Try a Super Tuscan wine to rival any region.